The High Court judge hearing the test case on bank overdraft charges has suggested customers' claims should stay on hold for the time being. Tens of thousands of cases have been frozen by county courts since the banks and the Office of Fair Trading agreed on a test case to clarify the law. Yesterday, the banks said that the legal stays on some claims would automatically end this week. The judge has now suggested the stays remain in place until his judgement. "Many proceedings have been on hold in the expectation that this hearing will assist the management of the county court litigation," said Justice Andrew Smith. "I haven't discerned anything during the hearing that undermines that expectation, and I don't mind that being conveyed to those charged with managing the county court cases." The OFT is asking the court to support its view that it has the right, under the 1999 Unfair Terms and Consumer Contracts Regulations, to decide if bank overdraft charges are unfair. The test case is prompted partly by a desire to resolve the huge wave of litigation against the banks in the county courts which has built up in the last two years. This has seen the banks refund more than half a billion pounds to an estimated 300,000 or more customers, though without any admission of liability by the lenders. The court had been told that some judges had stipulated that the stays on current or fresh claims would end on 1 February or when the High Court hearing ended. However, the judge pointed out that he could not order the courts to keep claims frozen. "It is for the county courts to decide how to deal with the cases before them, either as a matter of their own motion or application from the banks or customers or any party," he said. "I can't intervene in the county court cases or go further than that." If the county courts take this advice, then tens of thousands of claims in the legal pipeline will remain unresolved and unheard for several more months. Although banks have to log any new claims against them for the return of overdraft charges, they are not being processed by either the courts or the Financial Ombudsman Service. The current High Court hearing may end on Friday but it could be several months before the judge makes his decision known. That in turn could lead to legal appeals by the losing side and further delays in clarifying the law. On the 13th day of the High Court hearing, several banks replied to a central accusation of the OFT that their contracts failed to say exactly what their charges were for. Bankim Thanki, QC for Lloyds TSB, said the OFT had engaged in "very subtle distinctions, even for a lawyer". He quoted from the Lloyds TSB leaflets and said: "The customer would have no doubt what the overdraft charges were for." "It is plain that in relation to the monthly fee, daily fee and interest, they are part of the price for the unplanned overdraft and no customer would have any problem understanding this," he added. Mr Thanki also rejected the OFT's argument that the banks failed to offer any real service when they considered whether or not to grant an unauthorised overdraft. He said the banks put in place extensive procedures with staff and equipment to consider such requests. "There is nothing metaphorical about the service being provided," he said. 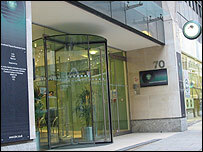 Richard Salter, QC for the Clydesdale Bank, denied the OFT's contention that bank contracts contained numerous uncertainties that left the customer in the dark about how charges might be levied. These accusations were "truly an example of lawyers looking for something to complain about", he said.